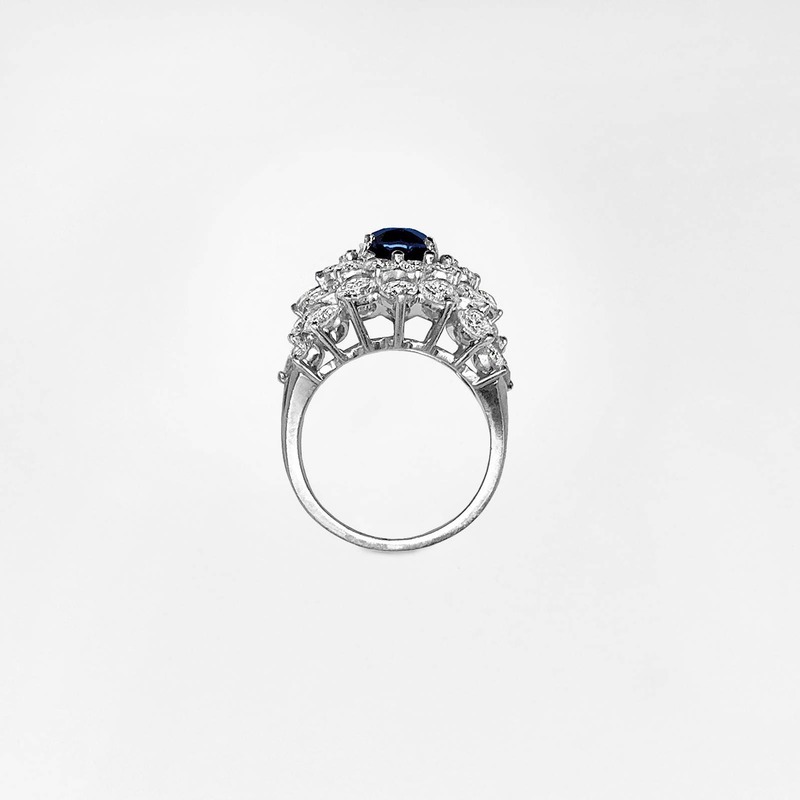 This ring is of the highest quality imaginable in every aspect. 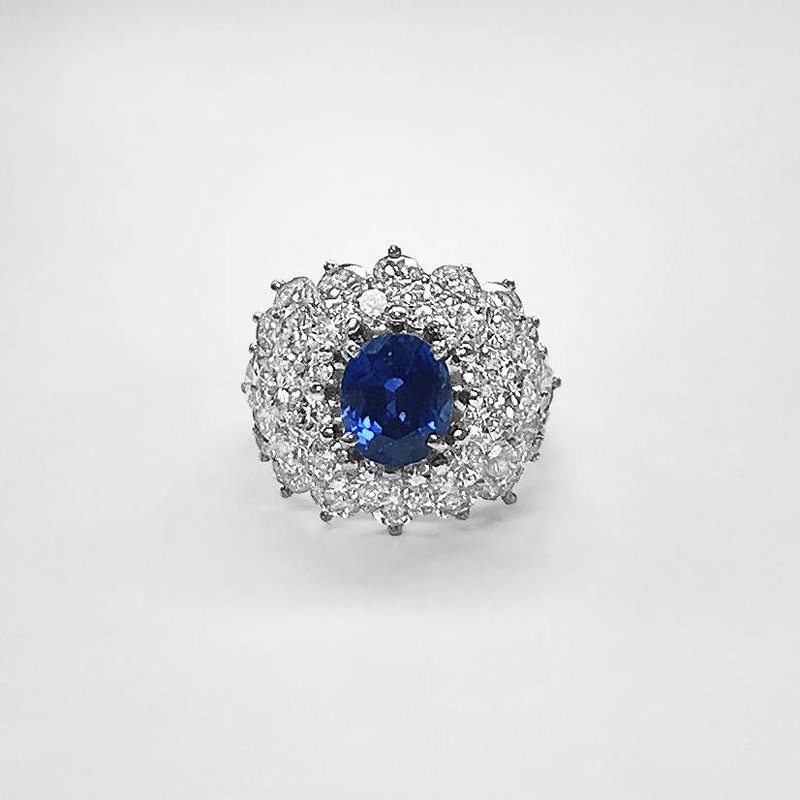 It is completely handmade in platinum and prong set with a fine gem quality faceted oval Ceylon Blue Sapphire weighing 2.72 carats which measures 8.5 x 7.1 millimeters. The color is of the deepest, richest and most velvety blue imaginable... a classic high quality Ceylon stone. The dome style ring is prong set with 38 of the finest quality (top white color, very free of inclusion and excellent cut and proportions) brilliant cut diamonds ranging in size from .08 to .20 carats each, with the total weight of all diamonds being 3.48 carats. This is one of the most impressive pieces of jewelry I have ever seen in my 50+ years of experience in business. The total weight of all 39 gems is 6.2 carats. The craftsmanship, quality of stones, and weight are beyond compare. 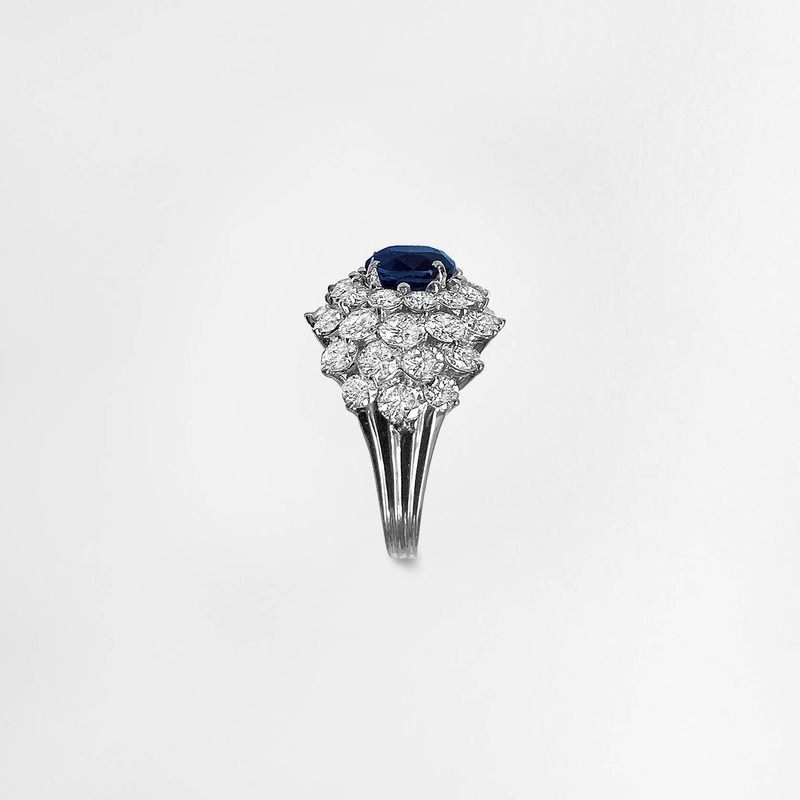 On the hand, it looks like a brilliant ball of fire accented with the most heavenly blue. The ring is currently a size 6 1/4 but could be sized easily to fit your finger.